It’s Time for Your Heating Service! It’s that time of year again to start thinking about your annual heating service! At Ace Hi, we go above and beyond to make sure you have the best service and maintenance, so your HVAC equipment can perform at its highest efficiency for as long as possible. August and September are the best times to start thinking about your heating service, because you’ll be able to make sure your unit and entire system is functioning at its best, right before you’ll need it this winter. In Fort Collins, we tend to get our first snow at the end of October, so make sure your heater is ready! If you are not already signed up for your heating maintenance, here are just a few of the reasons why you should call our professionals and set up your appointment today. While you may not have the latest, most advanced, most energy efficient heating equipment on the market, your five-year-old furnace can still run at peak efficiency with annual maintenance. 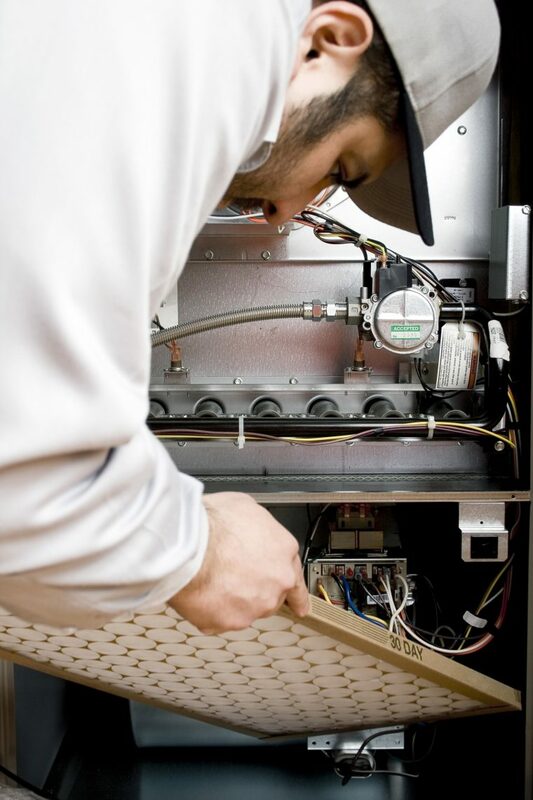 Because our heating service includes a full inspection, necessary cleaning, and repairs, your equipment is able to run at its very best. This means you are using less energy to run your heater, which translates into a more budget-friendly heating bill this winter. When your system is clean and running efficiently, it has less of a chance of needing repairs down the line. At your annual maintenance, your professional HVAC technician will be able to spot and diagnose any questionable odors, missing pieces, damages, and more before they become real problems in the middle of winter. Again, with an experienced technician able to find and repair any potentially disastrous situations, your equipment’s risk of a breakdown is significantly less. These breakdowns often come at the worst times (in the middle of a snowstorm), and usually mean a complete system replacement, which could cost you hundreds, if not thousands of dollars. When your equipment runs more efficiently for longer, you spend less money repairing and replacing it. Regular maintenance performed by a licensed professional can often add years to your equipment’s lifespan, so you can get the most from your investment. Especially with heaters, having a safe equipment operation is absolutely essential to the safety of your home and your family. For example, if your Navien furnace’s heat exchanger is cracked, you may not notice, which means that your heater could be leaking deadly carbon monoxide into your home. From start to finish, our team at Ace Hi is dedicated to making sure your equipment is not only operable, but efficient, clean, and ready for the Northern Colorado winter. This way, you know you have a system that will keep you warm and safe, without costing you an arm and a leg to run. Contact our team to schedule your heating maintenance and service today! We have locations in both Loveland and Longmont, so we can get to you faster and service your equipment better.